I am a fan of the superhero film genre. I love (for the most part) the Marvel films. 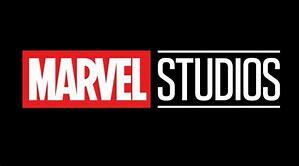 The Marvel Cinematic Universe films have taken the genre to new heights. But there is one prevailing problem in the MCU. It is the MVP of the MCU: the Marvel Villain Problem. After going through these films, we have to take into account that one “main villain” is not a villain anymore. So through 18 films, here is the list of villains still alive in the MCU: Abomination, Loki, Helmut Zero, Dormammu, Kaecilius, Vulture. We also have Thanos (who will be the main villain in Avengers: Infinity War) Mordo (who will more than likely be the main villain in the sequel to Doctor Strange). But in 18 films there are only 7 films where the main villain is alive at the end. But that number is skewed because Loki is the main villain in 2 of those and another of those (Bucky Barnes) is now a hero in the MCU. So if you throw out Barnes, it’s only 6 films (since Pierce died in Winter Solder). So why is this a problem? Well for one, you drain the number of great villains from the comics. Especially when you kill off great villains (Red Skull, Hela, Killmonger, Ultron) but even just villains that could develop into more if given longer opportunities (Stane, Crossbones, Ronan). Now we don’t know what the plans are post Avengers: Infinity War and its sequel. But unless they retcon at some point (which I don’t think that’s what Kevin Feige will do) there will come a point when they won’t have any strong villains left if they keep killing them off. Or at least not enough to pose a viable threat to the Avengers post Infinity War. Then again, Marvel may not feel like having another big team up film again. But it is too bad we won’t ever see a huge villain team up film to oppose the Avengers (ala a Marvel version of the Legion of Doom). 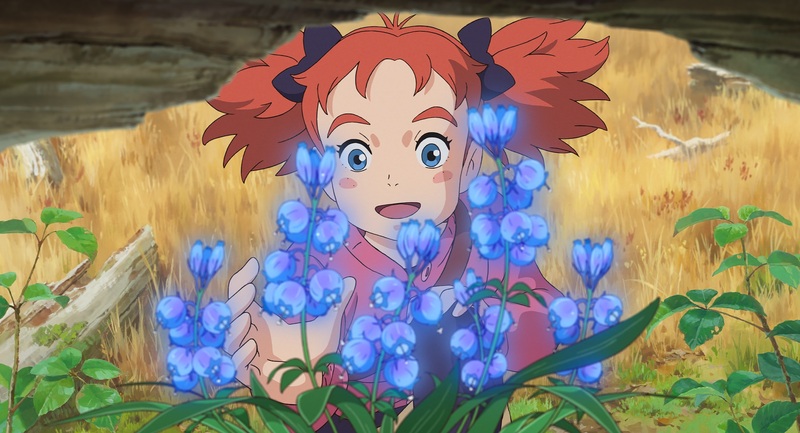 Based on the story “The Little Broomstick” by Mary Stewart, Mary and the Witch’s Flower is the first film from Studio Ponoc but in it’s DNA is a Studio Ghibli film. The director Hiromasa Yonebayash previously directed The Secret World of Arrietty and When Marnie Was There and this film has that same kind of heart and visuals. This film feels like a mashup of When Marnie Was There, Kiki’s Delivery Service and Howl’s Moving Castle. This is the next era of animated films as a spiritual successor to the Ghibli dynasty. 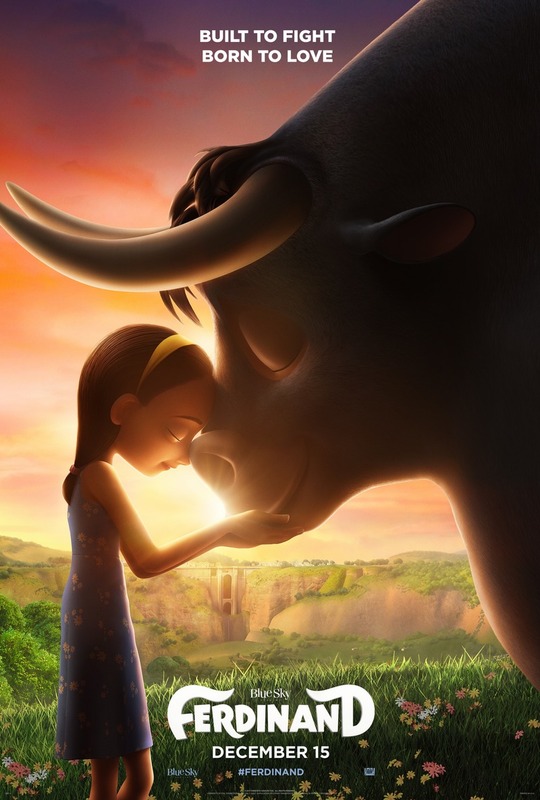 Based on the children’s book “The Story of Ferdinand”, Ferdinand is about this large bull named Ferdinand who everyone expects to be this fighter but he doesn’t want to fight. It was a really fun little film. The voice cast was entertaining and had a lot of laughs. It was very enjoyable. The Greatest Showman is based on the life of P.T. Barnum, who helped create and run one of the biggest circuses in the country. 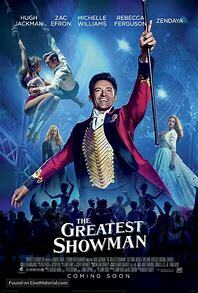 Ironic that the film released shortly after the Barnum & Bailey Circus shut down. Anyway, I liked the film. I’m usually hit or miss with musicals but this one I enjoyed. The songs fit the story & overall had a good story. 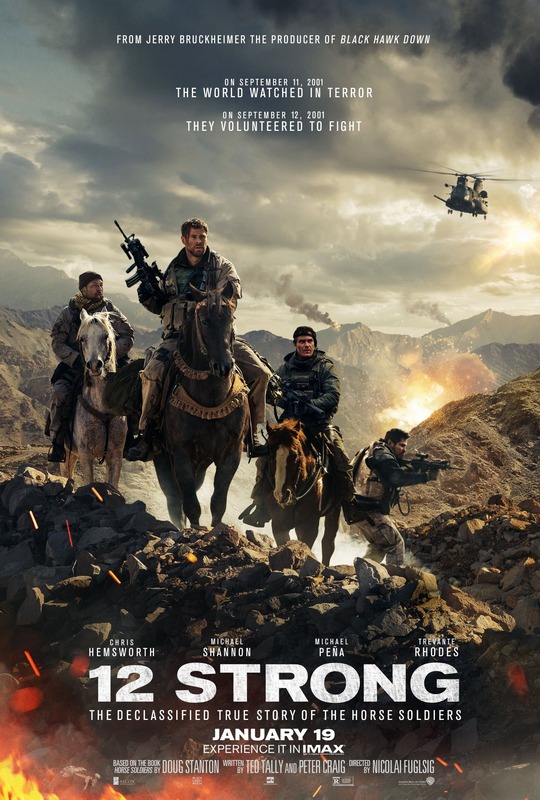 Based on a true story, 12 Strong tells the story of the first military group that went to Afghanistan to fight the Taliban after 9/11. There’s a really strong cast that includes Chris Hemsworth, Michael Shannon, Michael Pena & Rob Riggle. This was a really good film and enjoyed it a lot. A “sequel” (probably better to call it a spiritual successor) to the first Jumanji film, this one takes the Jumanji board game and turns it into a video game. Four teenagers find the game during detention and get drawn into the game and in order to get out have to break the curse and save Jumanji. 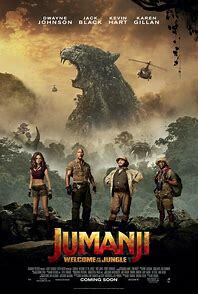 Very funny film with good action sequences. It tells its own story while giving nods to the original film. Worth checking out. Based on the true story of the “Pentagon Papers” and the release of them to the media specifically involving the Washington Post newspaper. It was an okay film. They had a good cast that did a good job. It just wasn’t as compelling a film to me as other films set in that time period. 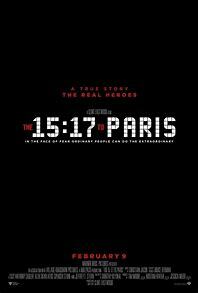 This film is based on the true story of three friends (played by their real life counterparts) who help stop a terrorist attack on a train from Amsterdam to Paris. Directed by Clint Eastwood, it looks at the event as well as the lives of the three friends growing up out in California. It was a good film. There was some editing that was kinda off at times but overall I enjoyed. For not being actors, the three guys did a good job. 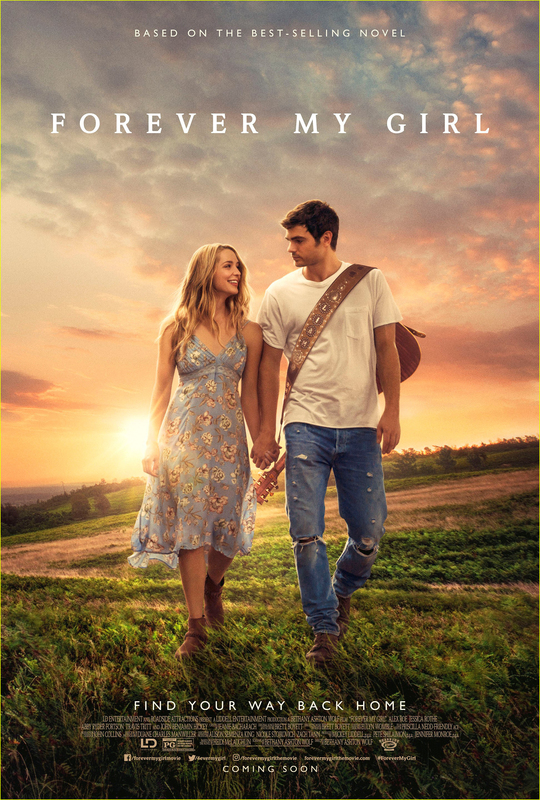 This film tells the story of a country music superstar who left his fiance at the altar 8 years prior who finds his way back to the same small town and trying to win back the heart of his ex as well as the daughter he never knew he had. It’s a nice film and for a romantic film it’s pretty good. 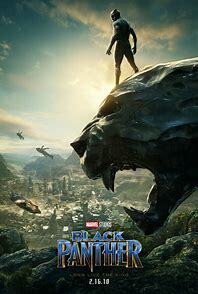 The latest film in the Marvel Cinematic Universe Black Panther continues the story of T’Challa, king of Wakanda and superhero Black Panther as he deals with ruling his people as well as dealing with the troubles that come from outside and inside. 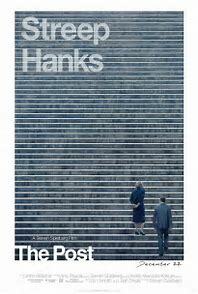 I thought this was a really great film. The humor in it was way better than the last MCU film Thor: Ragnarok because it wasn’t forced or wasn’t trying for humor every 5 minutes. The action was great (another great job by director Ryan Coogler) and overall told a really great story. I’ve been in a writing rut of late. There hasn’t been much that has been inspiring me to write. There hasn’t been the motivation to write. I’ve had these kind of seasons where I want to write but I don’t know what to write about or have any inspirations to draw from to write. Couple that with a season of time where there’s nothing “exciting” going in my life it makes for being in quite a rut. I think it also plays into creatively being in a rut. I miss being a part of a podcast. I miss having that format to explore creative ideas. And though I have toyed with starting my own podcast, I just haven’t been able to get it off the ground just yet Feeling in a rut. This season of my life has been more downs than there have been ups. It has been a struggle. My hope is always that things will improve but when one is stuck in a rut, it takes a lot of momentum to get out of it. I’m going to try and brainstorm some ideas at least for this blog to try and get out of this writing rut. Hopefully the inspiration and motivation will come and the creative ideas will start flowing again.